Every Sunday morning for several years I have shared my thoughts about God, the Bible, and the church on this blog. Because Easter always falls on a Sunday, one post a year is usually about Easter. This year’s reflection follows this same theme, yet it is also different. When I think of Easter, I think of Jesus. Of who he is, what he did, why he did it, and who he did it for. His ultimate act of sacrificial love drives me to my knees in homage and brings tears to my eyes out of undeserved gratitude. I love you Jesus, and I long to be with you, today and every day. May it be so. How do you keep Jesus in Easter? 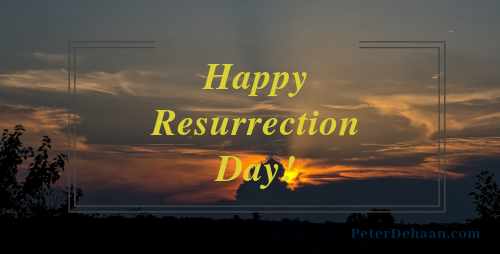 What will you do to celebrate Jesus today?